Featuring an elevating platform and extendable legs, the Johnson Heavy-Duty Elevating Tripod offers elevation as high as ten feet when fully extended. It is equipped with a heavy-duty folding handle to allow smooth and precise height adjustments. When not in use, it can retract to four feet for hassle-free storage and transport. This elevating tripod by Johnson is highly stable with its wing screw locking system that securely holds the legs in position. For additional support, the included safety chains prevent it from collapsing accidentally. Its pointed feet come with sharp metal points and removable rubber covers making it excellent for uneven outdoor terrains and smooth, slippery indoor surfaces. 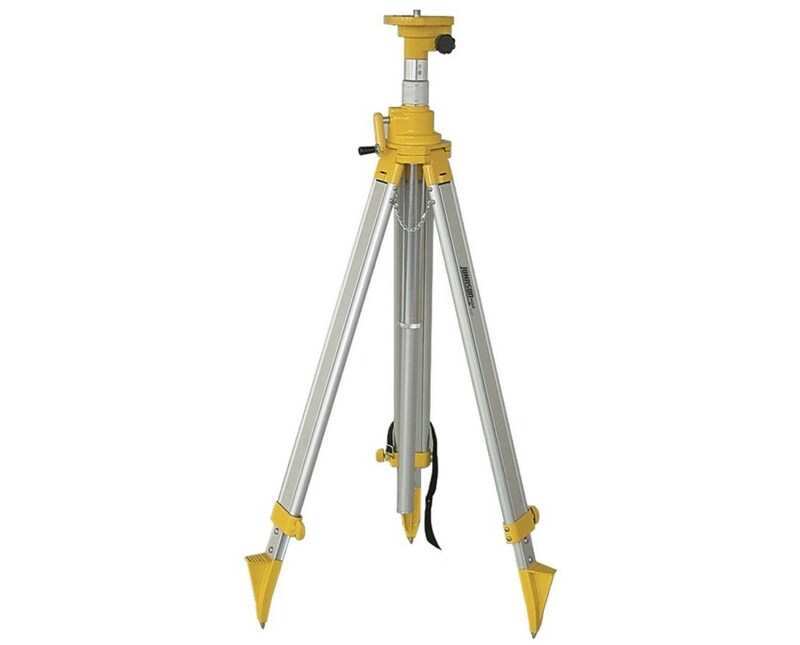 The Johnson Heavy-Duty Elevating Tripod is sturdy and durable with its aluminum construction. 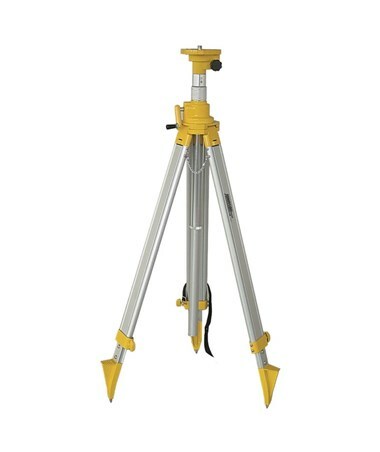 It accommodates most surveying instruments with its flat head and standard 5/8-11 threading. With a convenient carrying strap, it can be easily transported from one jobsite to another. It is backed by a three-year manufacturer’s warranty for long-lasting service.